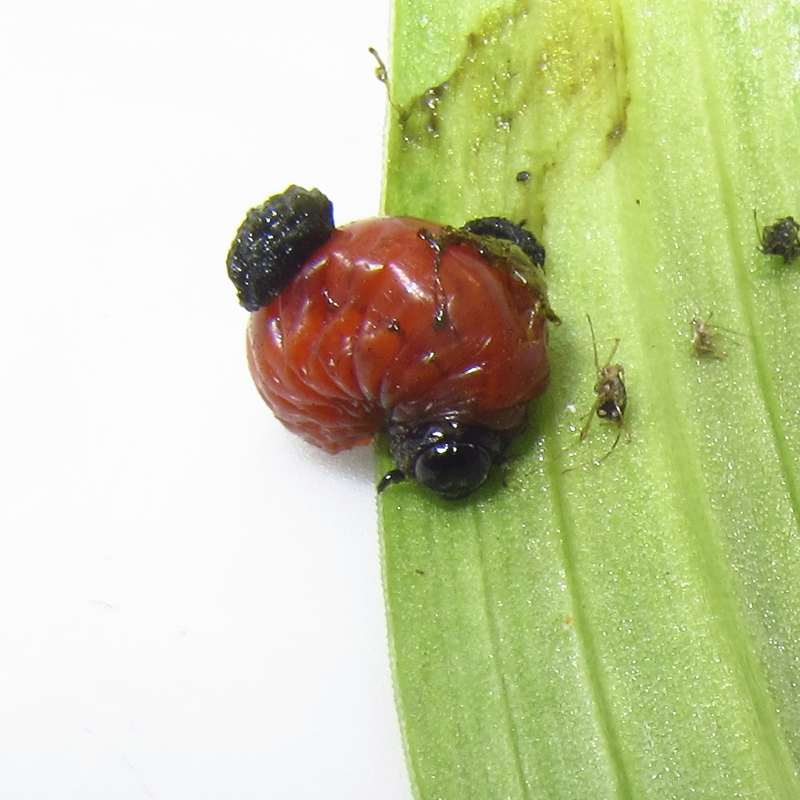 While checking the underside of my lily leaves for lily larvae I found this giant on the 22 of June. A fully developed larvae, no longer protected by its own poo, but ready to drop to the pot soil to pupate. Still haven't found any pupa, might try later in the year when I repot some congested lilies.